New Delhi [India], June 24 (ANI): Prime Minister Narendra Modi will share his thoughts with the people in India and abroad in the 45th episode of his 'Mann Ki Baat' programme at 11 am today. New Delhi (India) May 27 (ANI): Prime Minister Narendra Modi will share his thoughts with the people in India and abroad through 'Mann Ki Baat' on Sunday, at 11 am. New Delhi [India], Feb 15 (ANI): Prime Minister Narendra Modi will address the nation on Feb 25 in his monthly radio address Mann Ki Baat programme. New Delhi [India], Jan. 28 (ANI): Prime Minister Narendra Modi will address the nation on Sunday in his monthly radio address Mann Ki Baat programme at 11 am. New Delhi [India], Jan 25(ANI): President Ram Nath Govind will address the nation on Thursday, on the eve of the 69th Republic Day. New Delhi [India], Dec 31 (ANI): Prime Minister Narendra Modi on Sunday urged the nation to kick start the New Year with a positive spirit. New Delhi [India] December 31, (ANI): Prime Minister Narendra Modi will share his thoughts with the nation on Sunday in his monthly radio address Mann Ki Baat programme at 11 am. New Delhi [India], Nov 26 (ANI): Prime Minister Narendra Modi will share his thoughts via 38th edition of 'Mann Ki Baat' today at 11 am. New Delhi [India], Oct 29 (ANI): Prime Minister Narendra Modi will share his thoughts via 37th edition of 'Mann Ki Baat' today at 11 am. New Delhi [India], Sep 24 (ANI): Prime Minister Narendra Modi on Sunday said there will be soccer fever across India as it is set to host the FIFA Under 17 World Cup later this year. 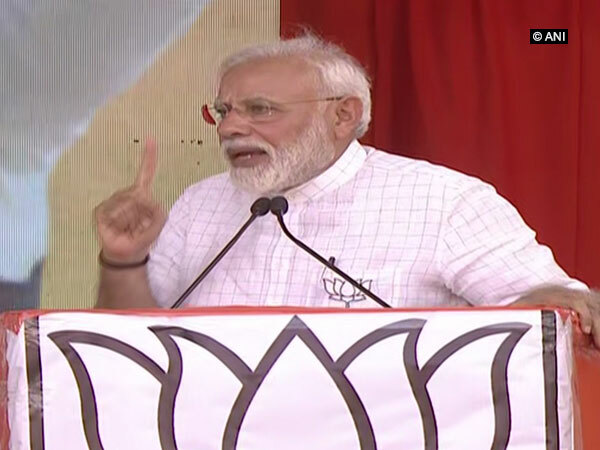 New Delhi [India], Sept. 24 (ANI): Prime Minister Narendra Modi on Sunday said that he has tried to keep his monthly radio address Mann Ki Baat away from politics. Bhopal (Madhya Pradesh) [India] August 4 (ANI): Madhya Pradesh Chief Minister Shivraj Singh Chouhan will address a radio show titled 'Apno se Apni Baat- Dil Se' on August 13.